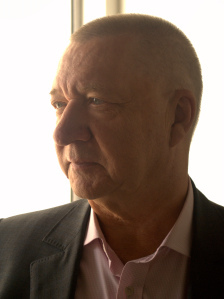 Interview with SEUMAS GALLACHER – thriller writer, blogger and a man with a great sense of humour. I am delighted to welcome SEUMAS GALLACHER to the blog today. His thousands of followers will be familiar with his wit … and wisdom. Seumas, tell us a little about yourself. I escaped from the world of finance five years ago, after a career spanning three continents and five decades. My ‘Jack Calder’ crime-thrillers series, THE VIOLIN MAN’S LEGACY, VENGEANCE WEARS BLACK and SAVAGE PAYBACK have blown my mind with more than 80,000 e-link downloads to date. I started a humorous, informative, self-publishers blog three years ago, never having heard of a ‘blog’ prior to that, was voted ‘Blogger of the Year 2013’ and now have a loyal blog following on my networks. “The novels contain my ‘Author’s Voice’, while the blog carries my ‘Author’s Brand’“. And I’m LUVVIN IT! What qualities do you need to be a successful writer? I’m sure everybody has different notions on this, but for me, I’d include stamina and discipline to maintain a regular application at the laptop or writing desk. Throw in passion for your work, whatever the genre. Basic understanding of the rules of grammar, character development and plot development are musts. Then get lucky. I write at least a little every day, even if it’s only a paragraph on the novels. I also engage with the social networks extensively, and try to do a daily Author’s blog, which has become a labour of love. Character/setting/plot. Which comes first for you? Ideas flow in and out constantly. As my novels have now become the Jack Calder series, the main players are already set, but I believe I add a little more to them as each book is in process. The broad outlines of the plot develop as I get deeper into the telling of each story. The setting and background geography respond to the twists in the narrative, but I purposely cast the books internationally, which allows me plenty of freedom to have the characters travel. How do you research your books? I’m thinking of all the special forces information et al. Well, I could tell you, then of course, I’d have to kill you! I use my own experience and memories of places I’ve been to, and worked in over the last few decades around the world. At one time, I was protected by SAS-trained armed guards and an armoured car for about three years. I observed a lot about how these guys looked after me. The internet is a treasure trove and invaluable source of information for any writer. Is there one aspect of writing that you enjoy more than any other? No bullsh*t—I love all of it. The whole nine yards, including the need to be involved in the promotion and marketing stuff via the web and the social networks. As a relative newcomer to the author gig about six years back, I know I’ve found something I truly love doing. Specifically when the words ‘The End’ appear on the drafts, it’s a glorious, heady, pink-cloud feeling that just won’t go away. I have developed so many wonderful writing friends globally, that I’d like to travel around the world constantly sharing time with them… and take my Mac with me. Now, it’s at home, with my own desk. Everything I need to produce the scribbling is there, so no diversion excuses. You obviously have tremendous energy and zest for writing and marketing. How do you manage your time on each and the mental change from writer to promoter? Early on, I ‘got’ the notion that this whole thing is the ‘business of writing’, and having been a businessman all of my working life, the concept came easily. 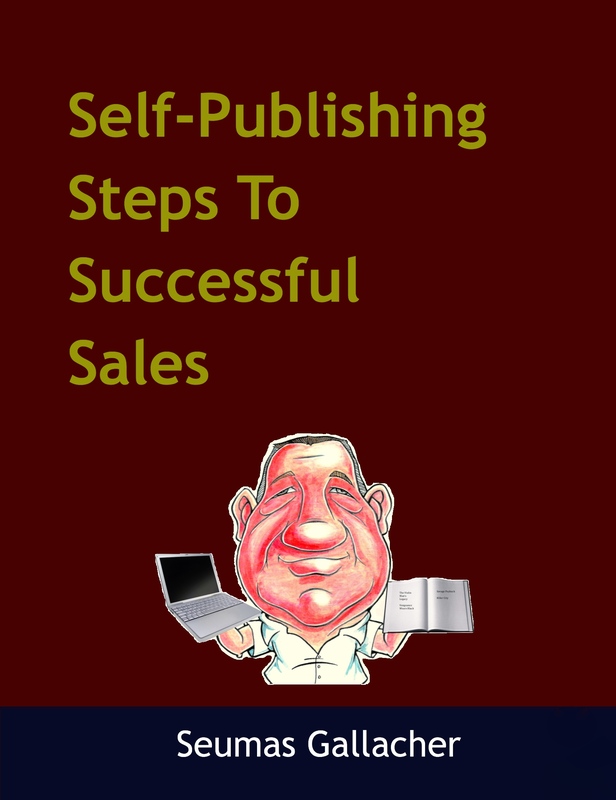 In my Self-Publishing Steps To Successful Sales, I describe how it works for me, by allocating time and resources to each element… writing, editing, proof-reading, art work, marketing, and promotion. The writing is the comparatively easy part of all of that.